Everybody knows that social media is one of the biggest advertising platforms for companies these days. There is so much potential because more people than ever before are connected online. Whether they use a PC, laptop, smartphone, or tablet, there are always massive amounts of people signed on to one of the big social networks like Facebook, Twitter, Snapchat, Instagram, etc. Companies would be foolish not to advertise their brands on these cyber billboards, but they must be careful how they go about it. In this post, we will discuss the 5 things companies are doing wrong in social media advertising that are causing them to lose followers. 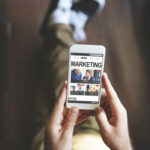 Retargeting, also commonly referred to as remarketing, allows advertisers to show ads to people who have already engaged with them, in some way online. Through retargeting, ads highlighting your business are placed throughout other websites a viewer browses after leaving your page. This method of positioning ads online has proven to be extremely effective and it represents a powerful tool for online advertisers and marketers. The biggest mistake companies are doing is over marketing their brands on social media. Social media users are being bombarded with ads for the same product over and over again, and studies show that this annoys them to the point of unfollowing that brand. A study done by Sprout Social shows that too many promotions can not only be annoying and 46% responded that it would cause them to actually unfollow the brand. But there is a catch-22 here. Many consumers say that they need to see the product advertised numerous times before they will purchase it. So marketing teams need to walk a thin red line when it comes to social media ads. Nobody likes to spend time reading content that doesn’t suit their interests or is completely unrelated to the product being promoted. The promotions need to focus on the product and the interests of the consumer. Don’t annoy them with off-the-wall nonsense that doesn’t relate to your brand. For example, remember that Super Bowl commercial for the Mountain Dew energy drink? The one with the monkey baby thing? It made no sense at all and was completely unrelated to their product. They are already an established brand, but imagine if Mountain Dew was just entering the marketplace, nobody would drink it. Everyone I know had no idea what the purpose of that commercial was. The point is – irrelevant information just confuses the consumer. This is an easy one to understand. This situation is like that annoying friend that just has to text you with every detail of their day, constantly blowing up your phone with alerts. Imagine a marketing team doing the same thing with promotions. Enough already! We get the point. Go where your avatar goes. If your primary demographic is women and your site relies heavily on images and graphics, you should allocate resources to Facebook, Instagram, and Pinterest. If you offer professional advice, services or products, LinkedIn and Twitter will likely yield the best results. The networks you dedicate time to should yield the highest ROI for your niche and target demographic. Otherwise, your time, money and resources would be better spent elsewhere. Research shows that marketers generally focus on three social networks. However, the three social networks you should focus on depending on your niche or industry. Social listening and having a real person respond to comments is the key to success. Think of it as the new customer service platform, replacing the phone and often even live chat on your website. One study of major airlines found that companies who use Twitter for customer service leads to consumers not only being more satisfied with their experience, they were also more willing to pay more money for a ticket in the future. In many cases, companies used social media to update, but have little to no participation in the conversation. Lack of conversation with your clients and followers decreases the value of your social presence. Participating in the conversation is a valuable way to build customer relationships. You want followers with brand loyalty, not fake followers that don’t love what you do. And the worst part, this is likely to reduce your engagement rate, which in turn negatively affects your ability to remarket. The end result is a higher cost of advertising because you now have to force your company on an audience that feels like you are spamming them. To sum things up, there is a thin red line to walk when promoting brands on social media. You don’t want a collage of advertisements on someone’s Facebook page but you do need to make sure your promotions are being seen a few times per consumer. Make sure your ads are focused on the problem that your product or service solves, and last but not least… ease up on the Twitter accounts.